WEB BONUS: Map of the core region in the Elemental Lands campaign setting. 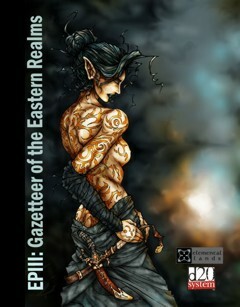 Get all four EPIII: Gazetteers in one convenient bundle, complete with a bonus map! Together, the bundle profiles 63 prominent geopolitical regions in a d20 high magic fantasy setting. The book is designed for both the player and the gamemaster. 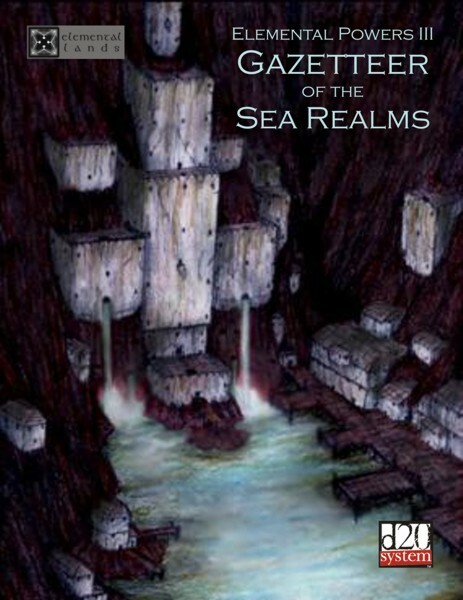 For GMs, the book can be used to flavor your own campaign or it can be used as a basis for campaigning in the Elemental Lands setting. Each region is rich with adventuring possibilities and provides a new garden for your campaigns growth. The history, culture, geographical features (including magical features), and important sites for nearly every region are detailed. Not only does the book capture the essence of a new campaign world, there are plenty of chunky bits to be taken, even by those not interested in the campaign world. Buy the Bundle for $19.99 at rpgnow (pdf).